A dicotyledon plant is an angiosperm plant of which the seed, as its name indicates, has two cotyledons. 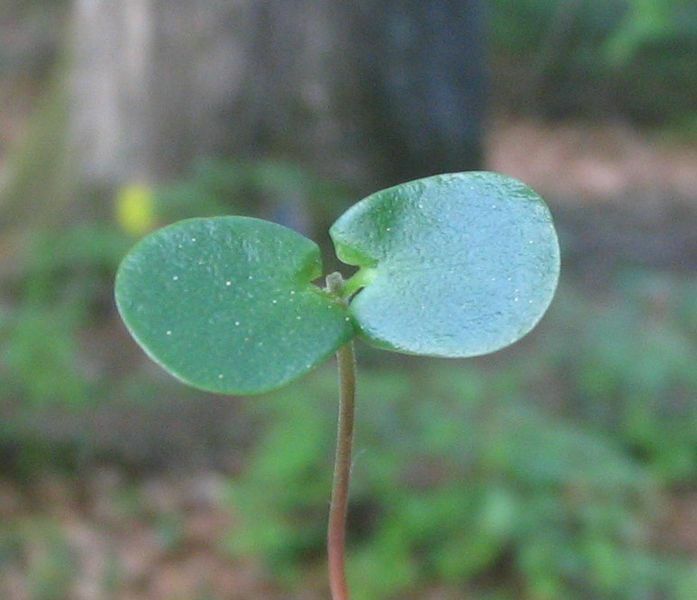 Dicotyledons can also be identified by the characteristics of their leaves, their roots, and the presence in woody types, of a generating foundation (the cambium), which allows their trunk to grow wider. The leaves generally have a petiole and reticulated veins, as opposed to the leaf veins of monocotyledons, which are parallel to each other. Finally, their root is most often a non-fibrous taproot, as is often the case in monocotyledons.